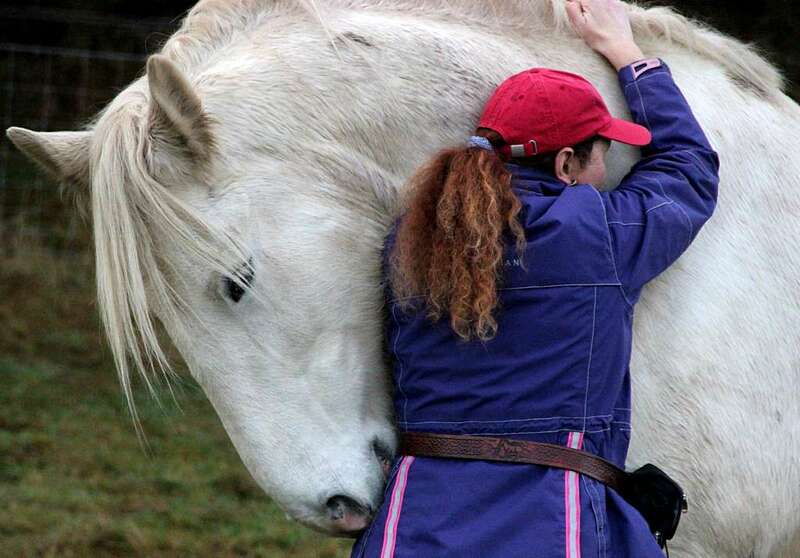 Horsemanship training is for those wanting a good bond/connection with their horse. By finding out how each horse thinks and applying methods that work for them as an individual. This helps work towards the horse being more balanced, confident, co-ordinated and more connected from his brain to his feet and to their human. Once started on this journey I introduce non-dominant, leadership phases of intent to bring about a more balanced, light relationship that has almost invisible communication. My four strategies of training are: Relaxation, Co-operation, Impulsion and Flexibility and these work in combination in the area’s of confidence, rhythm, balance, energy and straightness. Horsemanship can help with safety and confidence issues, for the horse and human, and starts basic training from the ground so that a good foundation is established. This communication can then be used effectively when in the saddle. 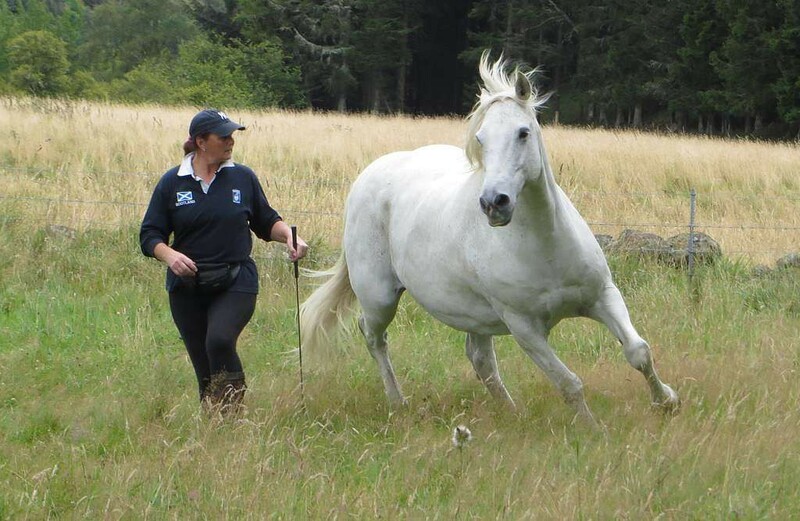 Working towards lightness, relaxation and impulsion from the ground first can make ridden work more enjoyable and understandable for you and your horse. 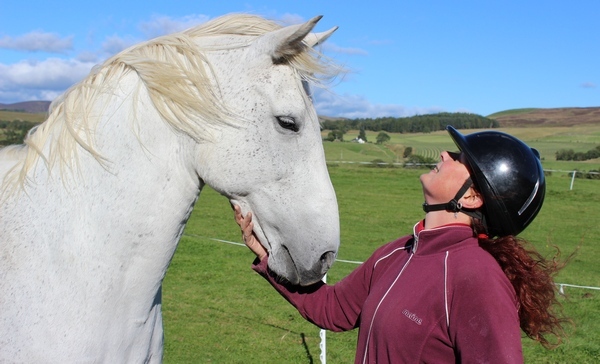 I teach online, liberty and ridden classes and specialise in helping horses and riders to go bitless so that they can stay bitless or so that when they go back to being bitted they are using their weight/legs/seat/hand connection effectively. Each step is a step towards having a confident, happy horse and rider that work together in a willing harmonious partnership. As the horse/human relationship grows things like barging, biting, kicking and unhappy trailer loading will disappear and it will show you the techniques for riding with or without a bit. I work throughout Scotland on a one-to-one basis. 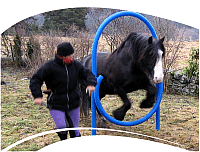 I am a Horse Agility Accredited Trainer (HAAT). 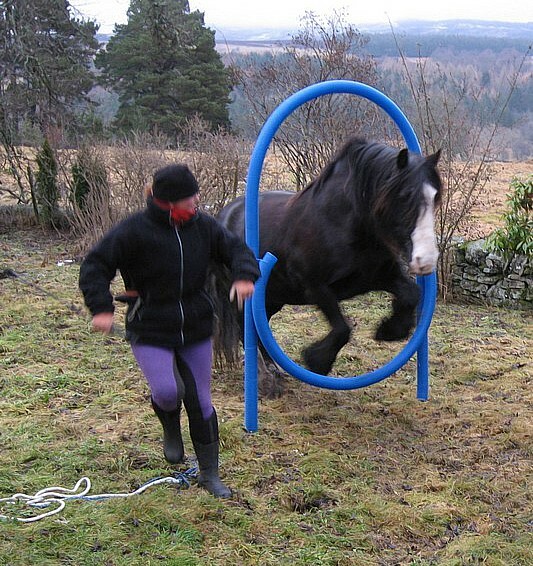 This means that I can come out on a one-to-one basis or train a few students at a time for Horse Agility. HA is a fun, horsemanship based sport that you either go to an event for OR there is on line HA (OLHA), I can help you with both. I have really enjoyed doing OLHA with Solly and found it to be a good event to put my horsemanship to a purpose in. Solly and I managed to win 6 online OLHA events (ranging from Starter, First level and Medium level) and 1 liberty in 2011. We now have enough points to compete in the Advanced level. OLHA is HA done at home, videoed and sent in to the HA office, there it is viewed, judged and scored according to HA rules by Vanessa Bee, founder of HA and OLHA. 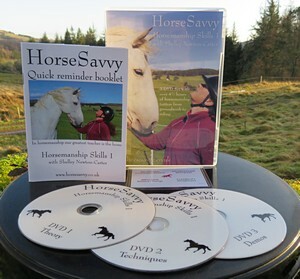 To be a part of this fast growing sport go to www.thehorseagilityclub.com to find out more and become a member.